A decision is expected in the near future from the Kentucky Supreme Court over whether in 2010 the Kentucky Racing Commission was correct to approve instant betting, betting on past races chosen at random on a slot machine like device. The Kentucky Supreme Court is expected to rule in the near future over the legality of instant betting machines at racetracks. Those in favor of the machines argue that Kentucky’s racing industry is struggling to compete with other states where gambling is allowed and it is thought that they will push for more relaxed gambling measures in next year’s legislative session. However, many point out that Kentucky’s breeding industry is still by far the strongest in the country, the recent Keeneland’s autumn meet saw record levels of both attendance and betting. On the other hand, the number of annual US races fell by almost 10,000 in the last decade and the amount bet on races fell by 28.3%. 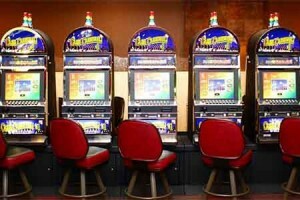 There is further controversy surrounding the machines since it emerged that Kentucky Downs, the first racetrack to install the machines, argued in one case before the Supreme Court that it is the same as betting on a live race and in another argued that it was the same as alternative gambling, a phrase used to describe slots and other casino games. This contradiction may prove fatal to the case for instant betting machines, but for now the issue is in the hands of the Supreme Court.